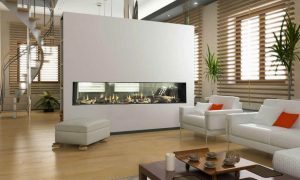 The dazzling Multi-Fire XD(tm) can accurately reproduce a gas fireplace or a range of ambient light themes that range from moody and hypnotic, to pulsing and vibrant. Chunks of acrylic ice nested on an ember bed of tumbled glass pieces, give an alluring and shimmering effect. Achieve the flicker and flare of a wood fire with the Dimplex PF2325 Multi-Fire XD 25″ Electric Firebox. 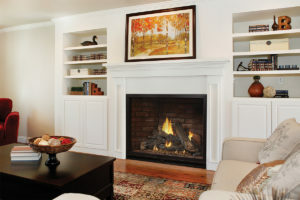 A variety of light, color, flame, and heat options make this unit an engaging choice for those who don’t want the dirt and dust of a real fire. The media bed is constructed with acrylic ice pieces on top of glass chunks that reflect the light and spark of the realistic LED flames. Users can enjoy the unit year round by switching the heater on or off and can choose to adjust settings with the included multi-function remote control.